You can use the spare time to doing the UK based house sitting business as an extra income source. This is because a house sitting business is a great business idea to make some extra money aside from your usual service. As there are many homeowners who hire a professional house sitter to care and feed their pets. Besides, they want to make reset alarms, collect mail and the newspaper, water plants etc. And even they want the home to look after for full-time. Besides, some clients ask you to stay on the premises so that you can simply make a point to visit the house several times every day. It’s particularly with homeowners who have pets that the demand for house sitters remains constant. Because of kennels are expensive and worrying for the pets. What is the UK Based House Sitting Business? UK based house sitting business is the practice where a person leaving their house for a definite period of time to one or more house sitting persons. The person is mutually agreed and permitted to live temporarily in the property. He/ she assume any combination of responsibilities that their owner provides. These may include taking care of the home owner’s pets, performing general maintenance (including pools, lawns, air-conditioning systems, etc. But, these are not all because they also may give the job of readdressing the mail, keeping trespassers off the property, and making sure that everything runs slickly; just like the care of the home as the owner do. Although some “house sitters” may choose to include this as part of their agreement at no cost, or a nominal fee, pet care is typically a paid service. The number of tasks you’re responsible for, and geographic location, the payment will vary on whether you live-in. so, the ranges of payment would be per day from $25 to $50. But, if you live in and/or have to care for pets, you can charge more. Start house sitting business with relatives and friends first if you’ve never house sat for anyone before. So, before you do it for strangers you can get a good handle on the responsibilities in a more controlled environment. It allows you to assess the flexibility of your schedule when you’re doing house sitting for friends or relatives. Offer your house sitting services when you learn that a friend or relative will be going out of town. UK based house sitting business requires extensive responsibilities to upkeep property. That depends on how long they’re going to be gone and the needs of the property holder. Don’t get in over your head so know what you’re capable of doing. For example, you may be attracted to house sitting in the country if you’ve lived in an apartment in a large city all your life. But, you need to get the skills to care for a garden and a large lawn. Moreover, you can ask for references, sign up with a house sitting site and set up a website and social media presence as part to create the references and credibility. A formal business plan can help you organize your business and stay on track with your goals even if you only plan on running your house sitting business as a side gig. When making a business plan, it can reduce your startup costs and the regular business costs as well. Besides, setting the goals is another part of the planning that helps future earnings and growth of your business. 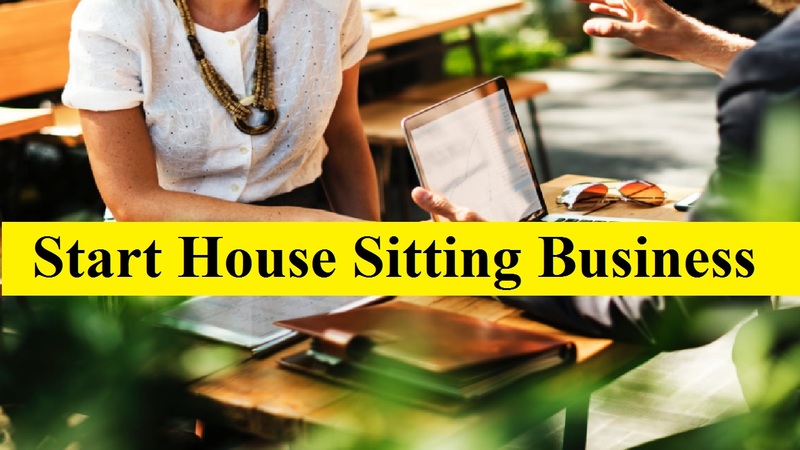 You need to look at what other house sitters in your area are doing to get a good understanding of your earning potential as a house sitter. It’ll be helpful to pick up ideas to help grow your business and adjust your expectations. Look for the franchise opportunities. Get registered your business name. Take insurance and any necessary licenses or permits. You have to advertise the UK based house sitting business to grow it. This is the most important part of the business. A few well-placed online ads can help your business get attention if you want to add more clients to your house sitting business. So, look at the websites to find out a house sitting job, particularly the site that caters to world travelers. It’ll be positive for you if you include quotes and photos from previous clients where you have served nicely. Moreover, include any special skills in your ad, if you have. Such as, you might also want to advertise in magazines and on websites for horse owners if you know how to care for horses. You have to ensure your online presence. So, stay active and engaged with your social media network to continue expanding your business by word of mouth as your house sitting business grows. Moreover, you can make social media posts quoting and referencing that review when a client provides you with a good review. Besides, you can include photos and articles you think would be of interest to potential clients about your own experiences house sitting. Also, interact with people on social media and set aside a little time each day to respond to comments. You’ll get in competition with other house sitters sometimes. But, everyone’s business grows and prospers if you collaborate and help each other. This is because connected with the house sitters who offer the services that you don’t have. You can at least make a referral. In turn, they may refer clients to you if you get a potential new client with needs you can’t meet. Such as, other people do garden work but is allergic to dogs but you offer dog sitting services. So, you can come up with an agreement with other people they’ll refer clients to you if someone asks them for dog sitter services. In exchange, you’ll offer them clients other than the dog sitting. The more possible clients you’ll attract, the more services you’re willing to offer. Make sure you’re not taking on more than you can handle because adding services can be a good way to grow your customers. Such as, you could take a class in gardening and yard maintenance if you’re a city dweller who wants to house sit in country houses. They’ll enable your garden and yard services to customers. You can hire other house sitters if your business is grown. So, you’ll eventually get to the point that you can’t expand any further without hiring other house sitters to work for you when you intend to make a living from your house sitting business. So, this is almost all about UK based house sitting business in this guide. Everything will go smoothly if you follow these steps. Also, let us know if you find any difficulty in these steps so that we can give you the best solution. Moreover, comment us for any other further need.